We apologise again for the fault in the moderation. Post your favorite and most valued books for educating collectors on whatever your coin collecting specialty is. This kind of shared knowledge will hopefully be very helpful to coin collectors. Same Author but "The Complete Guide to Mercury Dimes". Every Merc Collector Should Have this Fine Reference Book. If they Would Just Buy this Book Maybe David would Author a Up-Dated Version which IMO probably would Show Many Differences in Perceived Rarity since His First Book was Published. Also Breens Bible, although Expensive, should be Obtained. Bowers' Complete Encyclopedia of Silver Dollars and Trade Dollars of the United States. -The Ultimate Guide To Attributing Bust Half Dollars by Glenn R. Petterson, M.D. When it comes to this series these two books are a must have for attributing die pairs and getting a feel for rarity factors. 1) Adding another one by David Lange, Complete Guide to Lincoln Cents. 2) Cherrypicker's Guide vol 4 - great for the modern minting process. "Bust Half Quotes" by Pierre Fricke and Brad Karoleff, NLG. It has a breakdown of relative prices for the different varieties and can be purchased through the JRCS web page. The 'Error Coin Encyclopedia III' is a good book for error collectors. Great pics and lots of good info on minting. 1) A Guide Book of United States Coins by R.S. Yeoman- A must but you dont have to get one every year. One every three years is good prices change to much for a book that comessss out once a year and they dont change info that often on backround of coins. But good rundown of every type of US coin. 2) any grading book. I am using the oficial ANA grading standards for united states coins But my dealer showed me a grading book That had color picturs and it was by a grading company and had a black cover. It was from NGC or PCGS. I will be picking that up next week. 1) Coin clinic By Alan Herbert- Light reading goes over the main areas of the hobby tends to be more for the begginers. 2)The Nmismatist's Companion books by Q. David Bowers. I am working my way through this collection of books and am enjoying my self. He can find a way to make any thing intersting with his style of writimg I will end up getting all the books. 1) The official Guide th U.S. Commemoratve Coins By David Ganz- If you are collecting the State Quarters this is the book to get on how the program started. by Edward L. Fletcher, Jr.
Any book by Scott Travers. This one is a must buy for Flying Eagle and Indian Cent collectors who not only enjoy technical points, but also great stories. A Buyer's and Enthusiast's Guide to Flying Eagle and Indian Cents, by David Q. Bowers. The last book that I just bought was: A Harry Bass Syllogi, by: Q. David Bowers. You can buy it on the www.bowersandmerena.com site, along with about 200 other worthwhile books. If you collect US Gold, this is the book to have. Ill throw my 10cents worth in. Brian Greer - The Complete Guide to Liberty Seated Dimes. Published 1992. My favorite is Numismatic Art in America by Conelius Vermule. By the way, how might I underline words? I tried but failed. standard IH collectors go by. The only one I am familiar with is Flynn's Treasure Hunting in the Flying Eagle and Indian Cent Series, but I'm sure there are many more. Check out the following links: Indian Heads.org and Flying Eagle and Indian Cent Collector's Society. The Jefferson Nickel Analyst, 2nd edition, 2001. Great resource. "United States Gold Coins, An Illustrated History": By: Q. David Bowers. You can buy this book at: www.bowersandmerena.com. I do not know if it has been released in Soft Cover yet. It is a pretty new release. 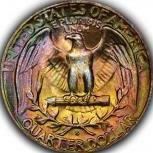 Of course the classic is: "20th Century United States Gold Coins (1907-1933), " by David W. Akers. This book is also available from Bowers and Merena. I have the address of J Robinson for any who might be interested. I highly recommend Adventures With Rare Coins by Q. David Bowers. It isn't a specialty book, but I think it helps increase interest in the hobby no matter what the individual decides to collect. Wow, That seateddimeguy fella sure seems like a smart dude. Must be handsome too. Good choice in coins my man! "The Standard Guide to the Lincoln Cent," Dr. Sol Taylor, 1982, 1988, 1992, 1999 : 293 pages. "The Complete Guide to Lincoln Cents," David W. Lange, 1996, 1999 : 364 pages. "The Authoritative Reference on Lincoln Cents," John Wexler and Kevin Flynn, 1996 : 384 pages. "BIE Handbook," edited by Howard O. Hardy, 1972 : 154 pages. "The Encyclopedia of Doubled Dies," John A. Wexler, multi-volume, 1980-1982. "Lincoln Cent RPM Price Guide," Mike Ellis, 1999, 16 pages. "The Complete Price Guide and Cross Reference to Lincoln Cent Mint Mark Varieties," Brian Allen and John Wexler, 1999 : 169 pages. "The RPM Book," John A Wexler & Tom Miller, 1983 : 291 pages. "A Quick Reference to the Top Lincoln Cent Die Varieties," Gary Wagnon, Karen Peterson, Kevin Flynn, 1997 : 144 pages. "The Cherrypickers' Guide to Rare Die Varieties," Bill Fivas, J.T. Stanton, fourth edition, volume one, 2000 : 422 pages. "The RPM Book, Second Edition : Lincoln Cents," James A. Wiles, 1997, 284 pages. "Errorscope," published bi-monthly by CONECA. "The Hub," published bi-monthly by NCADD. "Error World," published bi-monthly by Error World. "Numismatic News," published weekly by Krause Publications. "Coin World," published weekly by Amos Press. I will be writing a book on Lincoln cent die varieties that will encompass information covered in all the above books - what I see as being the "complete" guide to the series. It will be published in "packets" quarterly, and is intended to be put into a three-ring binder as each issue comes out. The pages will be loose-leaf so they can be self-organized by the collector. Publication should start next summer. The eventual page count of this book will be close to 2,500. Can you get Grey Poupon at a baseball game? Thanks for your list. Good luck with your publication, and please keep us updated as you see fit. Bowers has a listing for a Comprehensive Catalog and Encyclopedia of Morgan and Peace Dollars. Authored by Van Allen & Mallis. Not sure on how much content is devoted to Peace Dollars, and it's pretty steep in price, but it's the only thing that I saw on a couple of sites. You can probably find a nice copy used on E-Bay or Amazon.Com that wouldn't be as pricey.